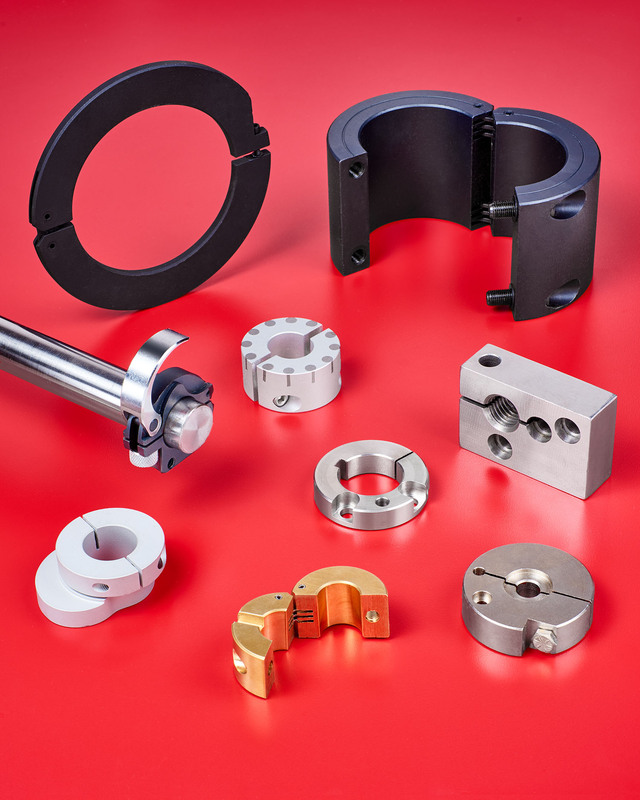 Custom manufactured shaft collars that often include modifications which customers previously made on their own, or completely new designs, are available from Stafford Manufacturing Corp. of Wilmington, MA. Stafford Custom Shaft Collars can include minor modifications to their standard parts such as slots, flats, through-holes, and threaded holes to complete custom designs with cams, levers, mounting holes, hinges, and more. Typically combining multiple functions to eliminate extra parts and improve mechanical efficiency and structural integrity, they can enhance drive system performance and add mounting or system integration capabilities. < 0.001” T.I.R. concentricity can be achieved, depending upon configuration. Stafford Custom Shaft Collar pricing is quoted within 24 hours and typical delivery is 3-4 weeks. Literature is available upon request.